By now, every business should know that continuity is essential to success. Without it, there is no way to advertise a brand or a message which relates to customers. Plus, changing both what you are saying and how you are saying it is confusing. Confusion is something consumers hate, and they bounce as a result. A continuous and seamless strategy is obvious, but what isn’t is the muse. Fleetwood Mac is not just a legendary band; they have business acumen, too. Here are the continuity lessons companies can learn from Mick Fleetwood, John ‘Mac’ McVie, and Co.
“Go Your Own Way” is more than a top ten hit which details a complicated relationship. It is also a reminder to be original. In business, success is not going to be forthcoming if there is a lack of creativity. Why? It’s because customers appreciate originality and will go out of their way for a unique brand. Therefore, when an establishment creates a message, it must have a USP. It is pointless trying to create brand continuity if it isn’t to a high standard in the first place. Petrol heads will know this song as a current Formula One classic. However, it is also an ode to keeping the brand on point from one platform to another. Modern firms have different stages on which they do business, from a physical store to a website. Wherever your dealings take place, everything you say has to be the same for the sake of the customer. If in-store employees say one thing and the site another, the customer won’t know who to trust. Instead of taking a risk, they will use a different company in who they believe. A savvy tip is to hire a web development firm such as Good Chee. By hiring pros and informing them of the must-have features, you can control the digital company message. Although using a variety of platforms has pitfalls, it also has lots of positives. The main one regards communication. In the past, customers could only perceive the brand from your marketing plan. For example, if they saw a billboard, they would make a judgment based on how they viewed the advert. Of course, this is dangerous because anyone can misconstrue a piece of marketing. Thanks to social media, however, they can talk to you directly. Therefore, you can resolve any errors and reset the continuity clock. By signing up to profiles, you can be everywhere at once. Not to be corny, but creating a continuous brand is scary. As a result, there will be times when you want to go off-piste and change your message. However, this is wrong for two reasons. Firstly, it shows the customers and your peers that you lack a backbone. Secondly, brand continuity is a long-term game and needs time to pay off. Turning back now is a short-term move and won't result in success. Like most things in life, you can turn to Fleetwood and McVie for continuity inspiration. 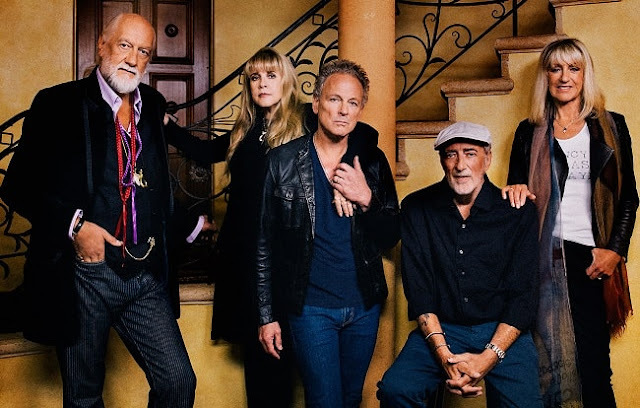 I hope you enjoyed this article about continuity lessons in business you can learn from the famous band Fleetwood Mac. Interested in more articles about business lessons?